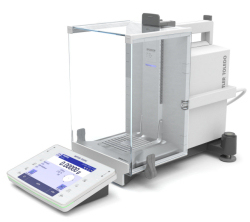 The Mettler Toledo XPE 205 analytical balance has a capacity of 220g and a readability of 0.01mg. Part of the XPE series of Mettler's Excellence line of balances, it features all of the premium features you would come to expect from Mettler Toledo. 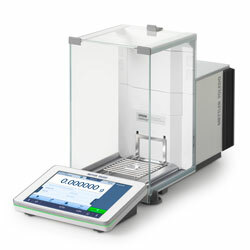 Notable features include the new static detecting and elimination technology and the status light which gives immediate feedback on the error state of the balance. 82 x 73 mm / 3.07 x 2.87"